In September 2006, I made the highest hike of my life up to the highest peak of the Lares Valley, in Peru, where I climbed at 4600 m above sea level. This was a 6-day charity trek I did through Breast Cancer Care UK, collecting over £4000 pounds for the charity, I was truly proud of myself. 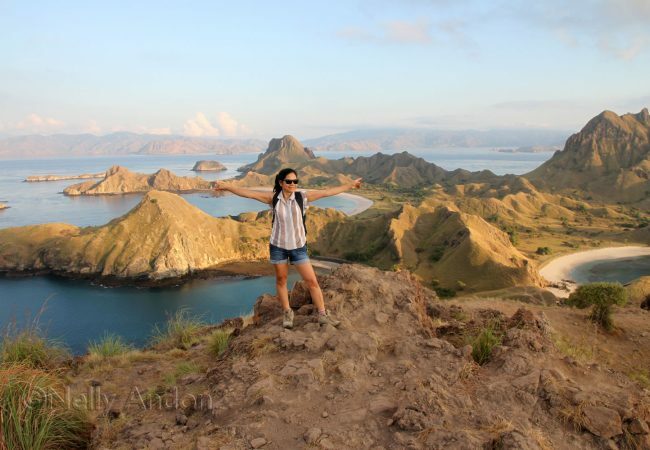 Peru offered amazing hike, it has unbelievably beautiful landscapes and for a long time, I believed that would be the most beautiful hike I would ever experience, until, I went to Padar Island. 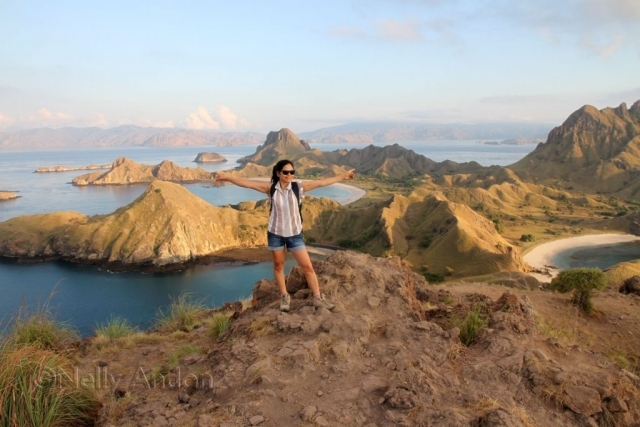 Months before departing for Flores, I did a lot of research on destinations that I would visit there and fell in love with photographs of Padar Island, and I promised myself that I would visit the place and made it on the priority destination in travel my agenda for 2016. 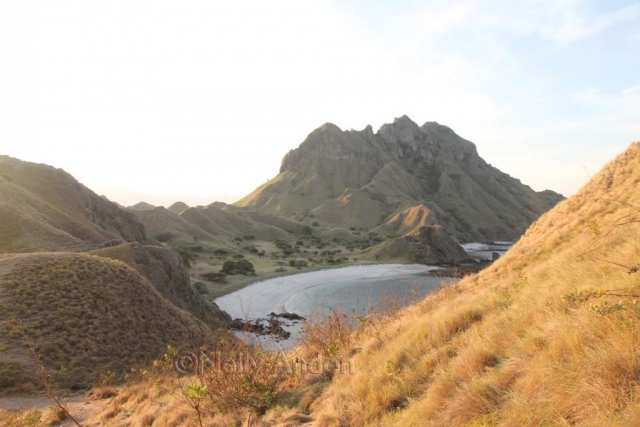 Although I was confident that I would be capable of the hike, this decision to visit Padar Island was a bit daunting as some stories circulation on the internet suggested that the hike was difficult. I made it to the peak of the Lares Valley in Peru, I wouldn’t be limiting myself this time, I convinced myself we would be Ok (me and my husband). I did realise that I was a lot older now, my movements not without limitations. 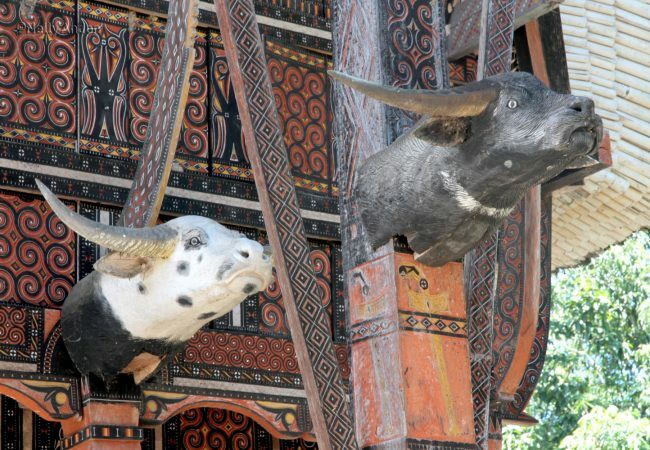 “Sod it!!! 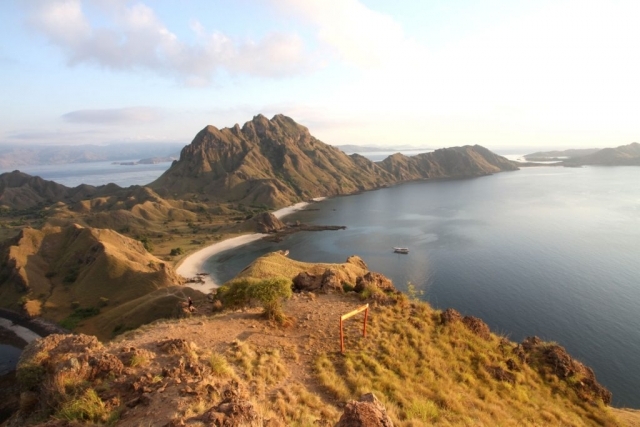 We are going to Padar island”, I told myself. I am not crippled, why do I limit my chance of seeing the best peak on earth? 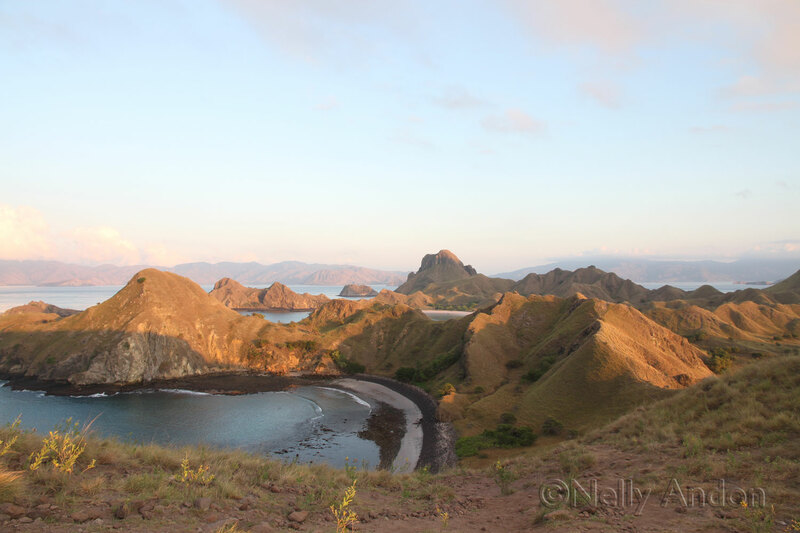 We got to Padar island just in time for the sunset. The boat crew told us that the sunset here is truly amazing, but for some reason, the sky wasn’t as clear and as blue as we expected it that afternoon and we didn’t really see the prospect of the best of sunset coming our way, but we insisted to make the hike. 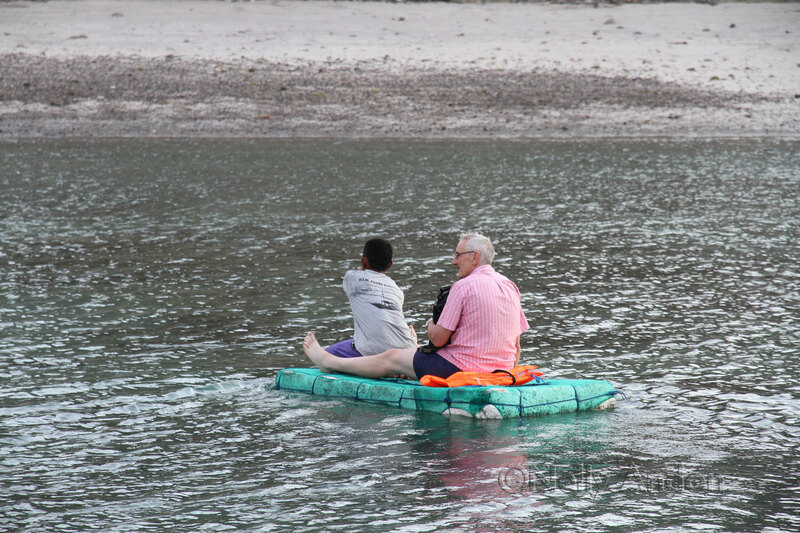 The crew transported us ashore using a very basic raft, something resembles a giant mattress, made from a chunk of polystyrene. Something so basic, but efficient enough not to get us drowned. We made it to the top, took loads of photos, but got dark so much quicker than I expected. 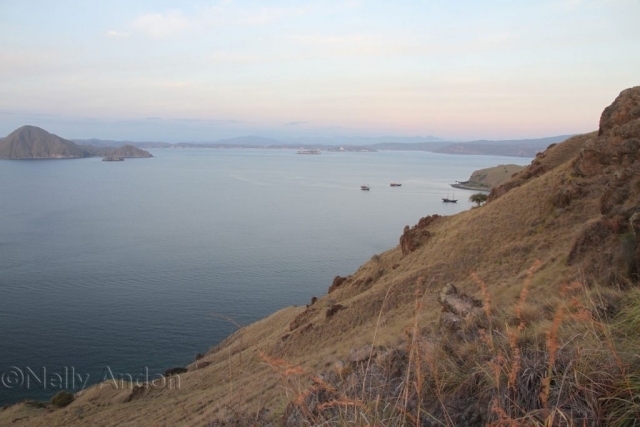 We got back to the boat, a little disappointed, but it was a great hike, and we were able to view the amazing view below. I did feel rather disappointed with the photos I took, so I grumbled a bit during dinner. The captain of the boat told me that the sunrise is actually more spectacular, always golden but I needed to get up there very early in the morning to capture it. I felt a little reluctant, I am not a morning bird, but I am a night owl. I shrugged my shoulder for his suggestion, but later pondered hard, and said yes eventually. 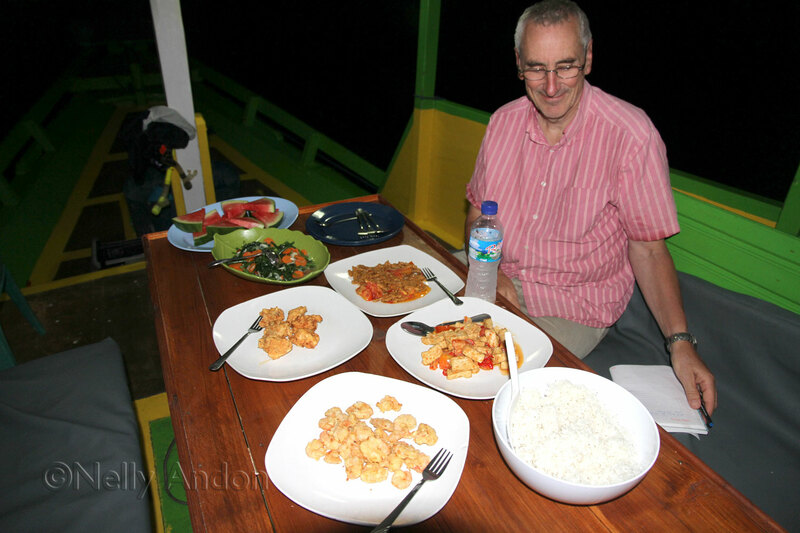 That evening we had a lovely dinner, lavish as usual, and head up to the top of the boat to watch the stars. 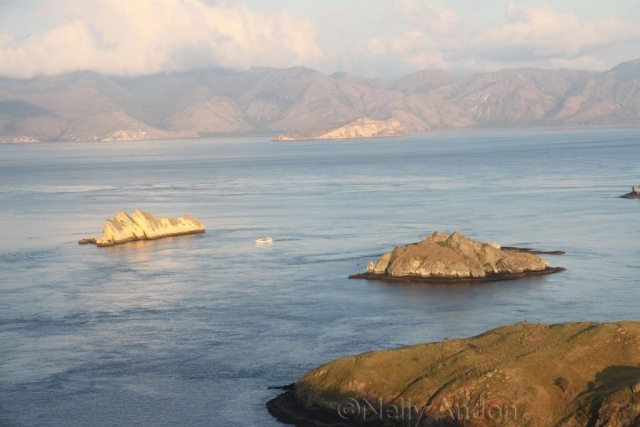 Here is the most amazing spot for stargazing, free from unnatural lights. We did bring some beers with us in the boat, so we invited all the crews to join us and had a little party of our own. The boats next door to us were heaving with disco music but tolerable, some young souls making the most of their holiday I suppose. Why ever not, this is a great place for it. 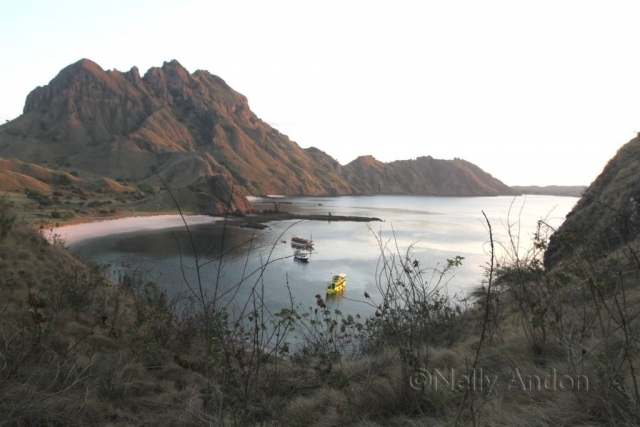 Only about 4 boats stayed in Padar Island that night, including us, and the disco music didn’t really bother us, it was still pretty peaceful considering. 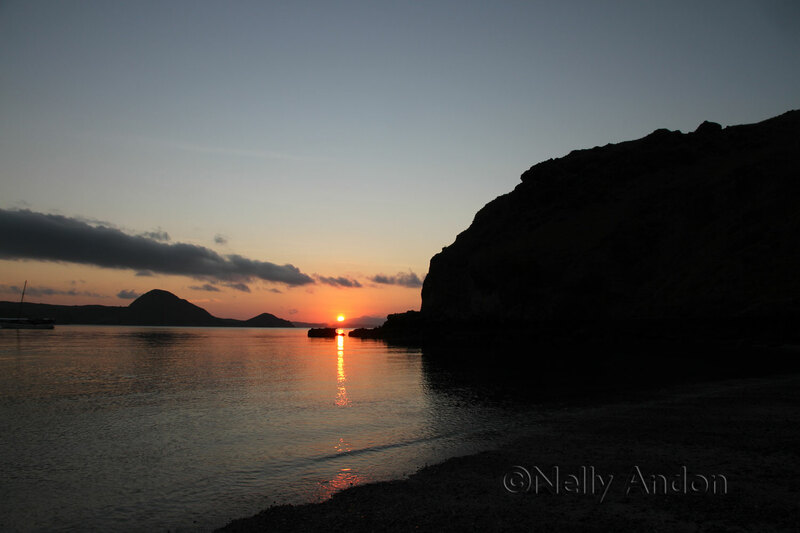 We woke up really early in the morning, as one of the crew members was taking us up the hill before the sunrise. We crossed ashore on the giant mattress again. Oh my goodness, he was absolutely right about the sunrise beauty. On the horizon, we saw the beautiful bright orange sun just emerging as if it was rising from the water, slowly and breathtakingly gorgeous. I took a few photos whilst we were standing on the beach but quickly headed up to the top of the hill to capture the best moment. The sun was risen very quickly, creating a real golden colour on the grassy part of the hills, the colour of nature that is truly out of this world. I quickly snapped away with my camera, taking as many shots as possible. When we got back to the boat, I checked up on all my photos, and presto!!!…. 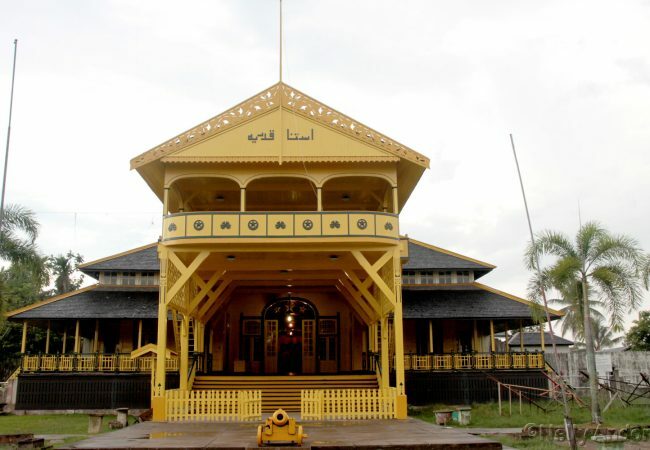 there they were…. looking gorgeous and very satisfying. 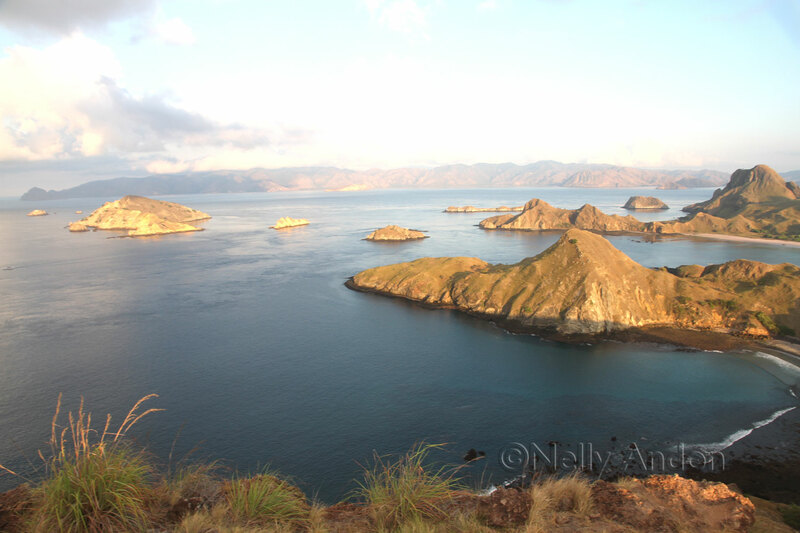 Do have a peek at my photos, I think they were worth the climb. 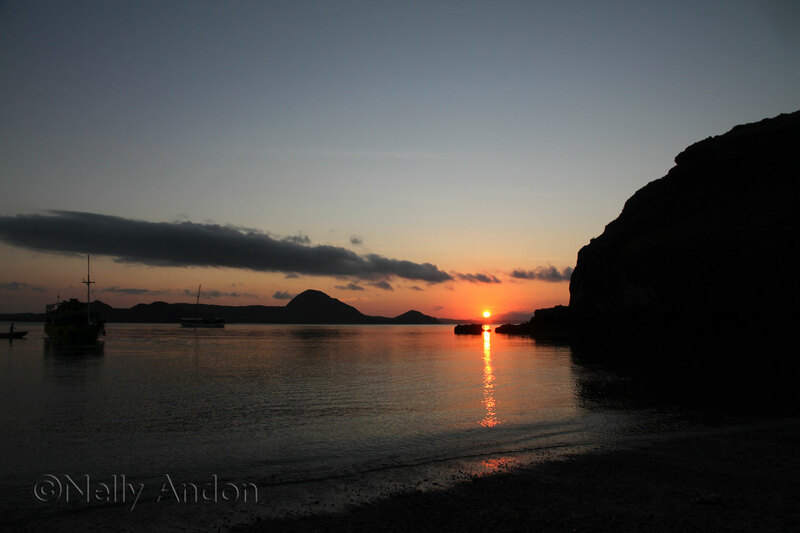 SUNRISE IN PADAR ISLAND, WORTH THE EFFORT TO WAKE UP FOR THAT MORNING. 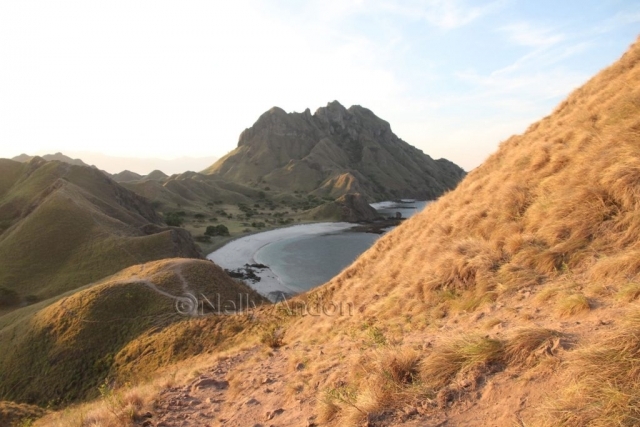 You might have read some rumours circulating in cyberspace that Padar Island is a difficult hill to hike. 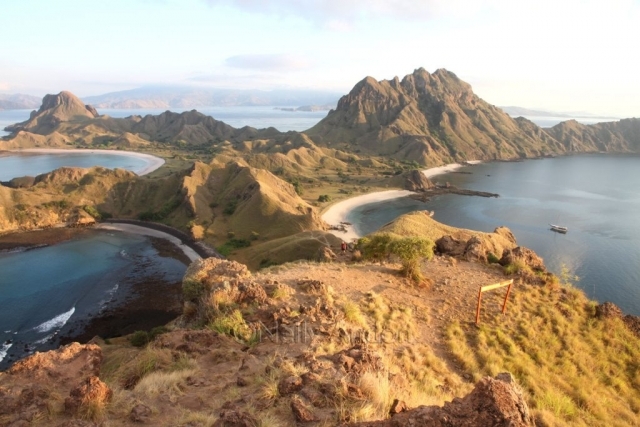 As far as I m concerned and from own experience, it has a fairly easy hike to the top, provided that you have a good pair of hiking shoes/boots with you. During the very dry season, the ground might crumble a little creating slippery paths hence the ground could become a little unstable for walking on. Just be careful to find a more suitable path for you climb, go on the grassy bit, and don’t rush it. Please, enjoy your hike, don’t injure yourself, don’t wear flip-flop on your way up. If you don’t like wearing shoes, then better go barefoot, this might be a better grip to stop you from falling, but you might have an injury from sharp objects as a result. 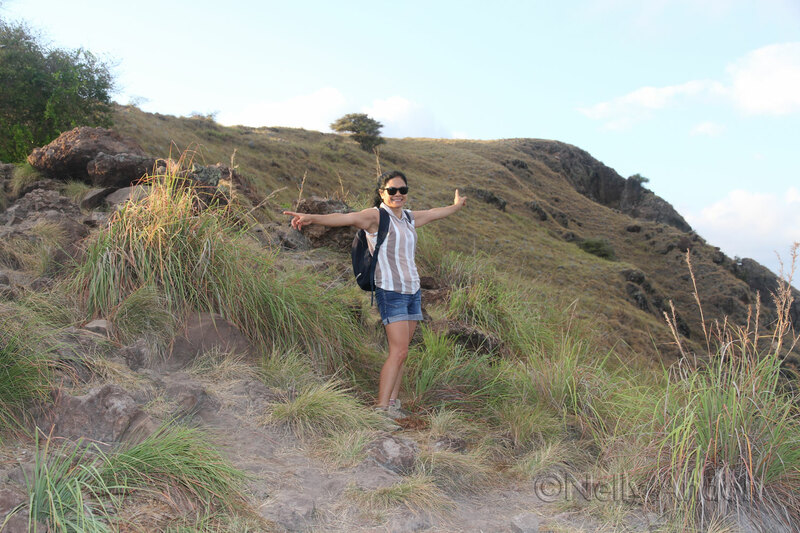 The best thing to remember when exploring out of the norm is to get equipped properly and enjoy your hike. Take a bottle of water with you, as it does get hot and sweaty after a little while. Don’t forget to rub that sunblock if the sun is still very strong. Rumour has it that many years back they discovered some Komodo Dragons wondering around this island, escaped from the nearby Rinca island. They haven’t seen anymore in a long while, but do be careful when you are exploring, pay attention to your surroundings. If you have any query about this blog and or any question about Padar Island at all, please feel free to contact me, I will be more than happy to share what I know. 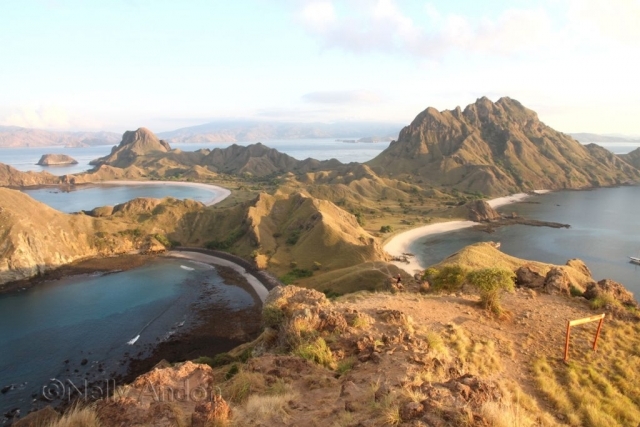 I hope to have you on one of my tour to Padar Island soon. 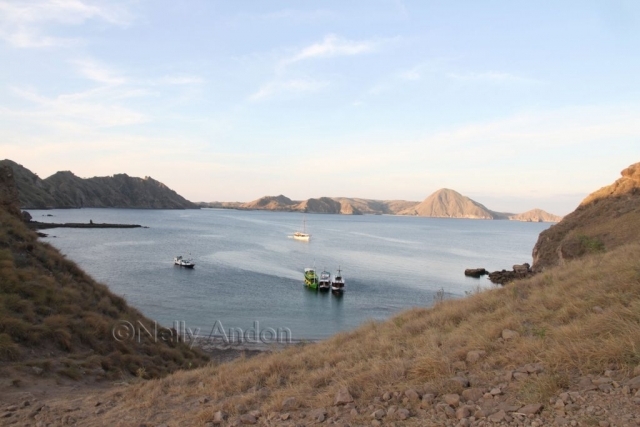 Next Post: The start of our Flores adventure, Labuan Bajo and beyond, the gateway to the Komodo Islands.